One developer has taken to doomsaying, something we're seeing a lot of these days in the gaming world. According to a lot of analysts and outspoken industry types, it seems that just about every console manufacturer is in big trouble … unless they change their heinous ways. The industry personality in question is Henrique Olifiers, the Co-Founder of Facebook game developer Bossa Studios, and the choice quote comes from an interview VideoGamer.com. …Valve is bang on: proprietary stuff is madness, we should be moving to more open platforms, to interoperability, bringing everyone together. If this is not the motto for the big console manufacturers, not only will we not be there – they're likely to die a horrible premature death, the kind of which I think the Vita will suffer from." The thing about Olifiers' perspective is that he had me nodding my head right up until his final sentiment. I also hate the "walled gardens" mentality that closed platforms bring to the world of gaming. I'd love to play with my friends across Xbox 360s, PlayStation 3s and PCs for every game out there. Even further, I totally agree with Olifiers' notion that Valve has the right idea with more open platforms. When Valve announced that PlayStation 3 and PC gamers would be able to play Portal 2 together, across platforms, I applauded (mentally … I embarrass way too easily to have physically applauded). Whenever anyone in the industry stands up and says something like "they're doing it wrong, they're doomed," I always roll my eyes. The industry has labelled manufacturers doomed for one reason or another for as long as I've followed it, and for more convincing reasons that a lack of cross-platform play. Call me crazy, but I'm also bothered by the fact that this comes from a studio lead with one Facebook game under his belt. 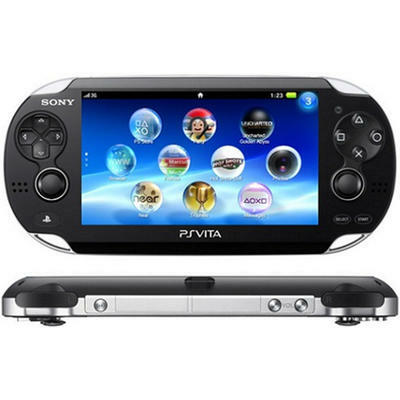 Is the PS Vita doomed because users can't play its games with their friends on other devices?